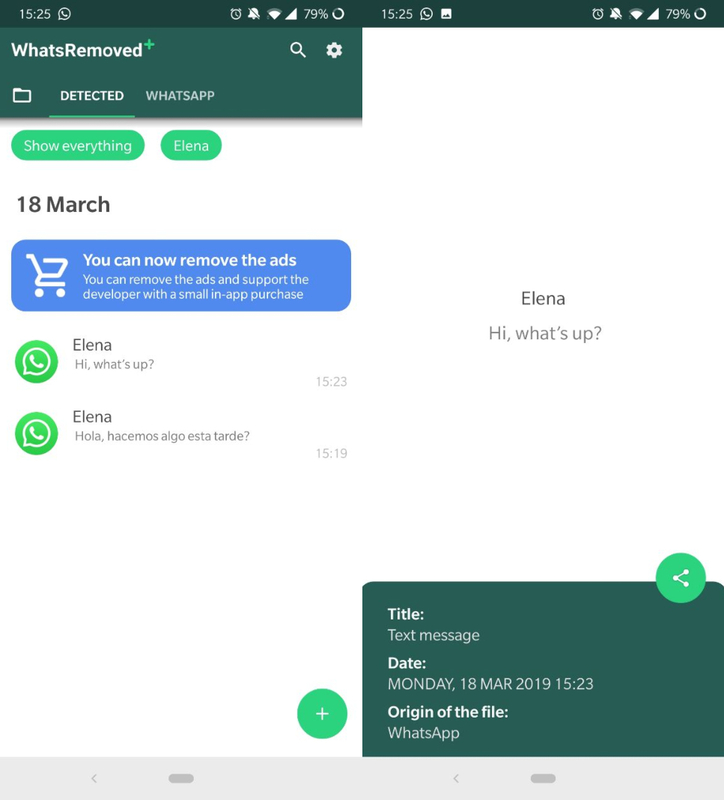 WhatsRemoved+ lets you view messages and multimedia content that senders delete from different messaging apps. For months now, the main messaging tools like WhatsApp and Telegram let you delete messages and files that you’ve sent. Thanks to this feature, if you regret sharing any content, you have the option to go back and stop your contacts from receiving it. However, there are a lot of times when you receive information and you’re too late to see what was sent before it was deleted. WhatsRemoved+ lets you detect the deleted material and recover it so you can see it later. 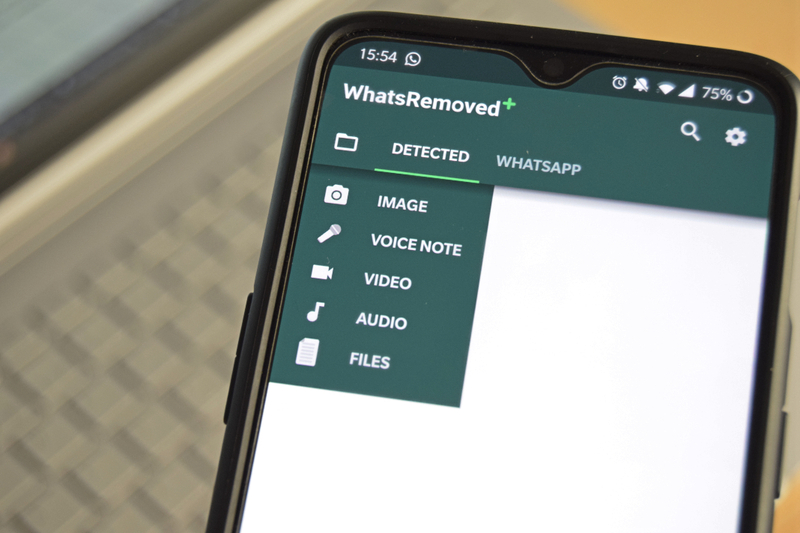 Although WhatsRemoved+ was originally designed to detect messages deleted from WhatsApp, the app now supports many other apps. 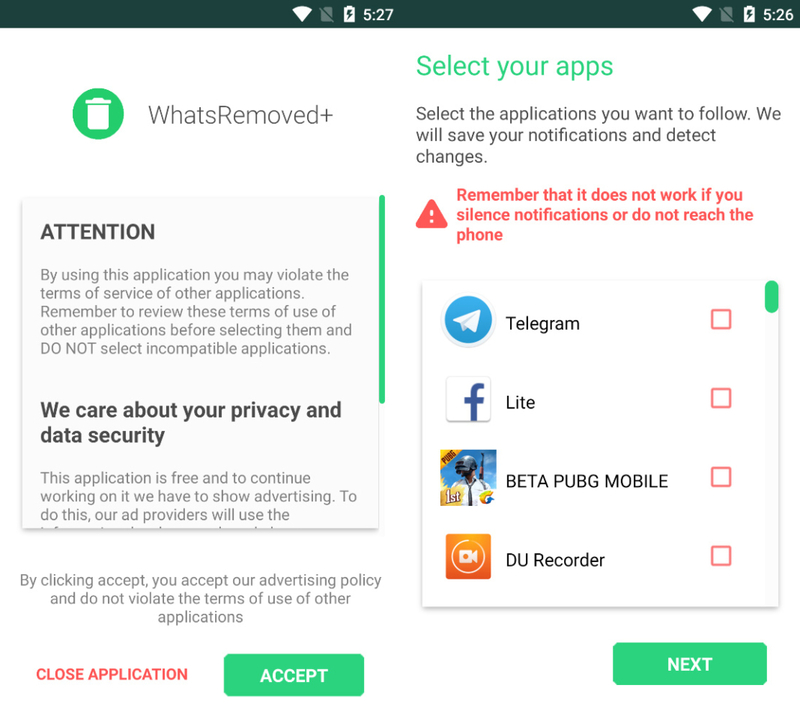 Once you grant the app the required permissions, it’ll show you a list of the apps you have installed on your Android device. It’s here where you’ll select what apps you want to get alerts about when another user deletes a message or file they’ve sent. You can also choose if you want the app to notify you only when messages are deleted, or multimedia content as well. On the other hand, in this configuration process, you have the option to change the folders where the information will be extracted. Once WhatsRemoved+ has notified you that a contact has deleted a message or file, you can see it by selecting the alert. The app is also able to organize and search for content through convenient tags and sections. You can even enlarge content and share it outside the app. In the upper bar, you a have the name of each app with its corresponding messages and files that have been deleted. You also have tags that separate the recovered information according to the contact. With all these features present in WhatsRemoved+, it’s easy to find any content you want quickly. It may not be the most ethical idea to recover messages deleted by your contacts. However, WhatsRemoved+ is an excellent app for finding out what content has been deleted by senders. Plus, the fact that it’s not limited to only WhatsApp makes it even more useful for those of us who use other messaging apps. Previous articleWhy is my WiFi connection so slow?